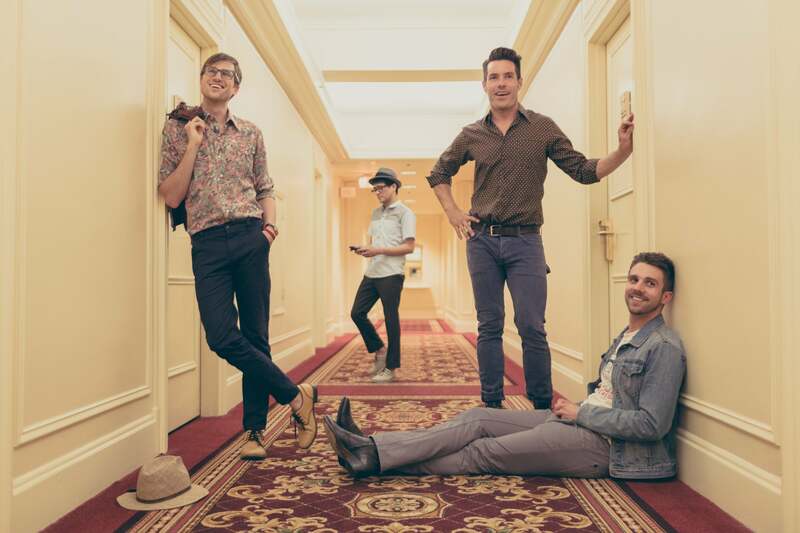 Date: Friday, March 4 at 7 p.m.
Saint Motel caught the ears of millions with its indie pop hit, “My Type,” last year, finding a perfect balance of catchy sax melodies and memorable lyrics. The band champions a retro style of bouncy rhythms and crooning vocals that propelled its latest single onto nearly every radio station in California. Saint Motel rose in 2007 as a project between A.J. Jackson, the pianist and vocalist, and guitarist Aaron Sharp. The two honed their skills as entertainers at the Chapman University film school and have used their creativity and experience on each dazzling video, which have further grabbed the attention of listeners across the nation. Chosen from the many up-and-coming musical acts that tore through the radio waves this past year, Saint Motel reflects a popular choice that has potential for an exciting show this Friday. In addition to its flashy YouTube videos, the group enjoys constructing dramatic theatrical live performances to which it gives names like “The Valentine’s Zombie Prom.” Its music exemplifies indie dance with up tempo beats and repetitive riffs, which surely will be enough to get UCSD’s Price Center Ballroom to move more than a gentle sway.